A bar with personality! 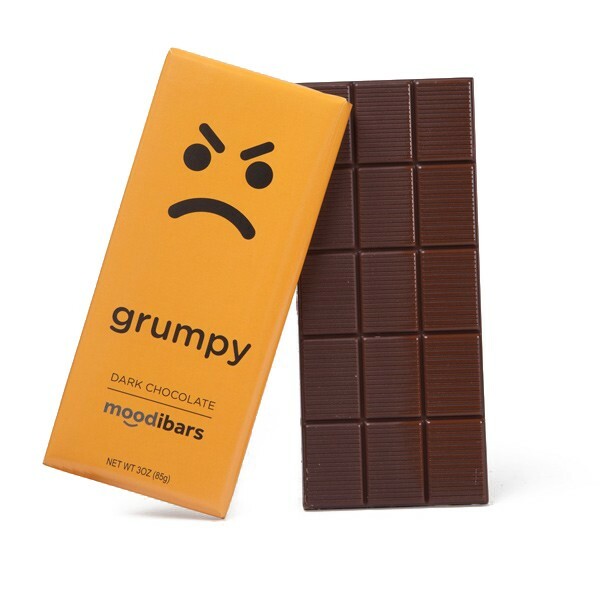 Don't be grumpy, eat chocolate! 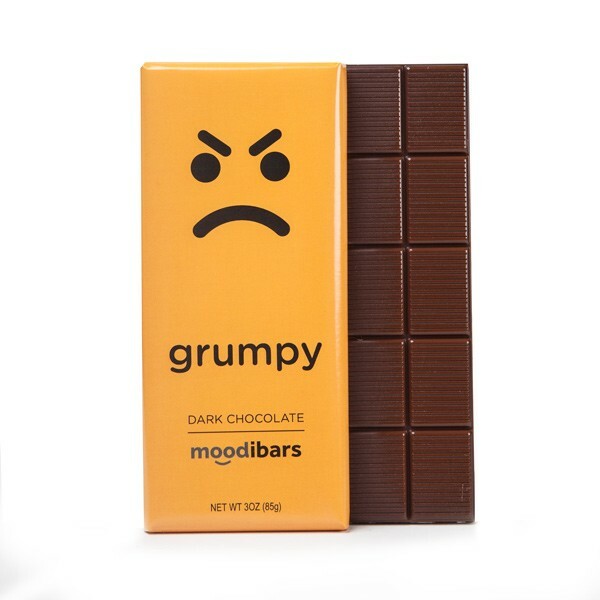 INGREDIENTS: Dark chocolate (cocoa mass, sugar, cocoa butter, soy lecithin [emulsifier], and natural vanilla extract).